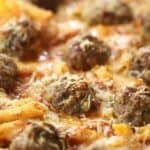 French Bread Pizza is quick and easy meal everyone will love! Barbeque Chicken French Bread Pizza, Buffalo Chicken French, and the classic Pepperoni French Bread Pizza a few of the regulars. 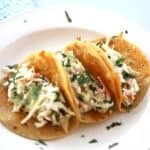 It’s a quick and easy weekday meal everyone will love. 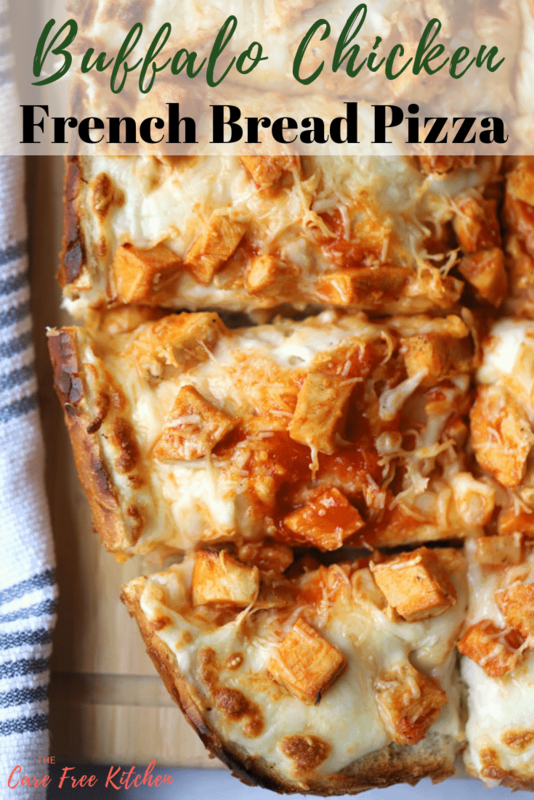 Homemade French bread pizza is one of our favorite meals to make. 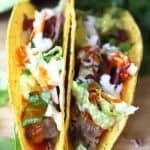 It’s quick, easy, and sometimes you can even use some leftover food you already have in your fridge. 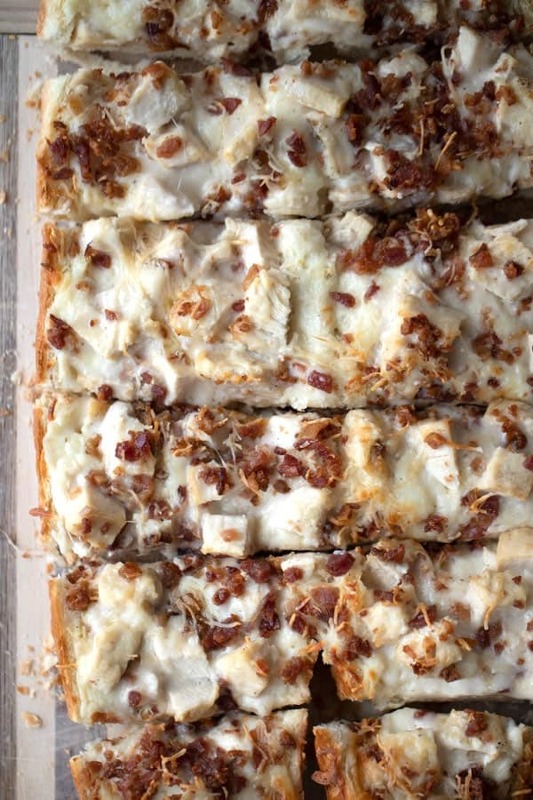 We love making chicken french bread pizzas. You can use a rotisserie chicken, or leftover grilled or baked chicken too. Here are a few tips to help make your french bread pizza turn out great. There are all kinds of french bread pizzas that are easy to make. 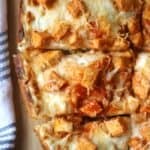 Some of our favorites are the classic Pepperoni and cheese french bread pizza, bbq french bread pizza and buffalo chicken french bread pizza. Be creative with your toppings. Here are a few ingredients that work well. 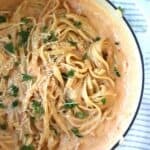 Alfredo Sauce, This is a great option too. If you’re making a pizza with strong flavors, keep the sauce a little more milk with the Alfredo Sauce. It will keep the french bread moist but won’t overpower the toppings. Garlic Butter, This is a great sauce to use if you are just doing a cheese pizza and don’t like the red sauce. It actually turns out more like a cheesy bread but it’s also delicious. We like to do the garlic butter, mozzarella cheese and then a sprinkle of parmesan cheese too. 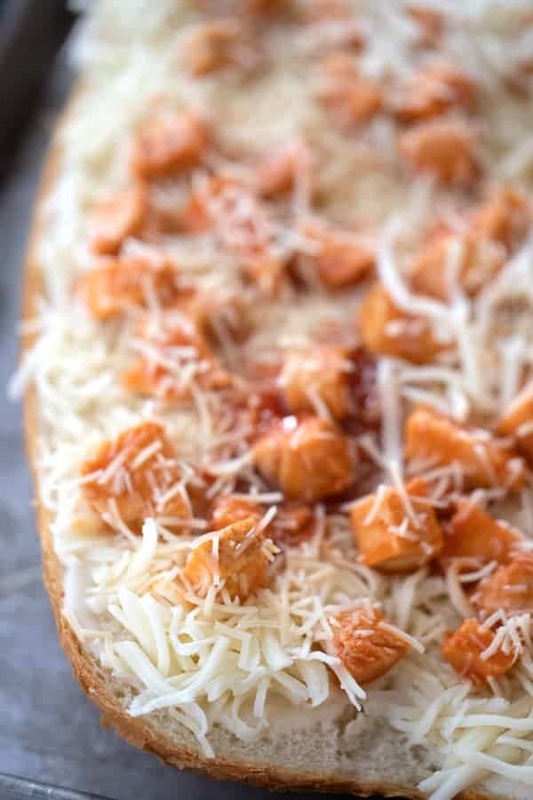 So much flavor in this French Bread Cheese Pizza! The best cheese to use is a mozzarella shredded cheese or some kind of pizza blend. Something with a little asiago, mozzarella romano parmesan is great. That being said, for a killer BBQ Chicken Pizza, some smoked cheddar or even some pepper jack- oh yeah, a little spice, works great too. The classic pepperoni is a must on this french bread pizza recipe easy. Again, we love chicken too. If you decide to do chicken, be sure to coat it in some kind of sauce. Since you will be broiling the french bread pizza, you are going to want to keep the chicken moist. On a French Bread Pizza with Alfredo Sauce, I like to coat the chicken in about 1/4 cup of alfredo sauce to keep it moist. For the Buffalo Chicken French Bread Pizza, I like to use a Homemade Buffalo chicken sauce on the chicken. Again, about 1/4 cup of sauce on the chicken before you put in on the pizza. Bacon is always a good addition. Always a good addition. Salami is so tasty on an Italian Style French Bread Pizza too. and any other vegetable you love on your pizza! There are a couple of ways you can keep your French Bread from getting soggy. #1-They first one is to cook your French Bread Pizza on Broil-low Broil. Don’t make your pizza ahead of time. Be sure to assemble and then pop that baby in the oven. #2-Don’t cook it with sauce. This is actually my daughter’s favorite way to do it. 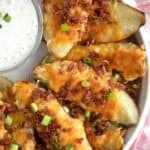 Make it more as a cheese bread with toppings and then heat the sauce and use it as a dip. #3- Be sure to go light on the sauce. I tend to overdo it on the sauce but it definitely helps to keep it a little lighter. This pizza is best cooked in the oven on a baking sheet. Line the baking sheet with aluminum foil to catch any excess cheese or sauce. Lining the pan will make cleanup really easy. To cook your pizza, bake your french bread pizza on broil-the low setting for about 10 minutes. This will get the cheese golden and keep the bottom from getting too crunchy. The French Bread Pizza can also be baked at 400 for 15 minutes, just until the cheese is melted. French bread pizza oven is the best! I suppose you can place it on tin foil and cook it on the grill too if you don’t want to heat your house in the summer. In short, how long to bake French Bread Pizza depends on if you broil it or if you bake it. Broiling=8-10 min and Baking at 400 degrees = 15-18 min. Cook until the cheese on top is golden. Both work great! It’s basically an Italian loaf of French Bread, cut in half, with your favorite sauce and pizza toppings. 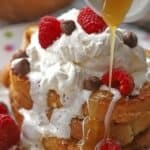 It can be made into the classic French Bread Pizza with marinara sauce, Mozzarella cheese, and pepperoni, or it can be made with Alfredo sauce, chicken and all your favorite toppings. If you love pizza, be sure to check out my grilled pizza tutorial too. Here’s a BBQ chicken salad recipe that would go great with this meal too. and if you’re a Buffalo Chicken lover, here’s our favoriteBuffalo drumstick recipe. In a small saucepan, combine the franks hot sauce and the brown sugar. Cook on high till the mixture boils. Boil for 1 minute or until all the granules of brown sugar are melted. Set aside and let it cool. Cube cooked chicken into 1/2" chunks. Cut the French bread in half length-wise. Spread a thin layer of Alfredo Sauce on the french bread. Be sure to get the sauce to the edges. Sprinkle the French bread with Mozzarella cheese. Combine the chicken with the homemade buffalo sauce. Spread the chicken on the pizza and top it off with the parmesan cheese. Bake the French Bread Pizza in a preheated 400-degree oven for 15 minutes or until the edges are golden brown. Cube cooked chicken into 1/2" chunks. Cut the French bread in half length-wise. Spread a thin layer of Alfredo Sauce on the french bread. Be sure to get the sauce to the edges. 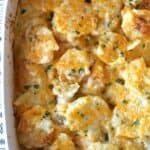 Use an additional 1/3 cup of Alfredo sauce to the chicken and mix until all the chicken is coated. 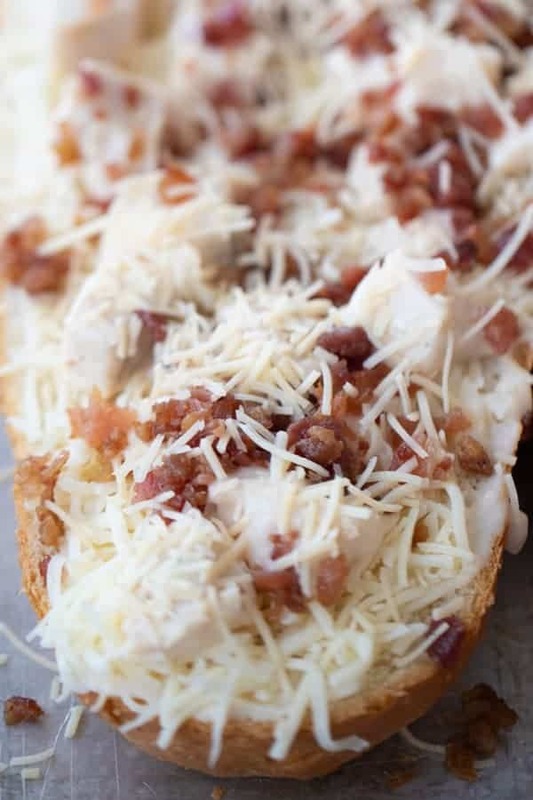 Cover the French bread pizza with the mozzarella cheese, chicken, and bacon. Sprinkle the Parmesan cheese on the pizza.